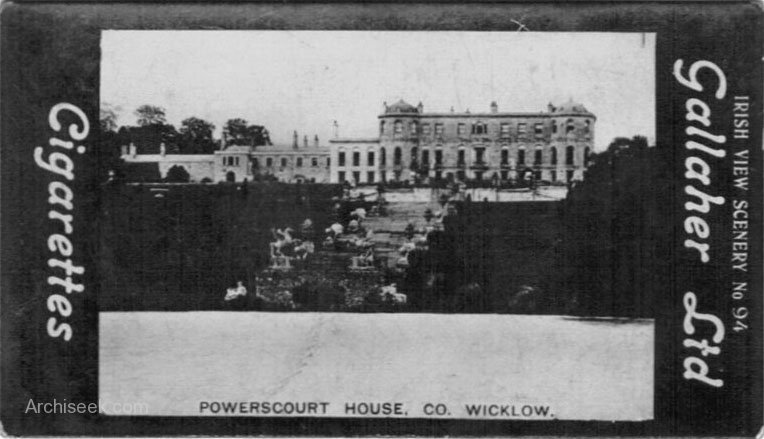 Just outside the village of Enniskerry, Powerscourt Estate dates from the mid-eighteenth century. The house was built for Richard Wingfield, a descendant of Sir Richard Wingfield, and a member of the Protestant Ascendancy of the time. Designed by the German architect Richard Cassels in 1740, the house was built around an existing castle which dated from 1300. 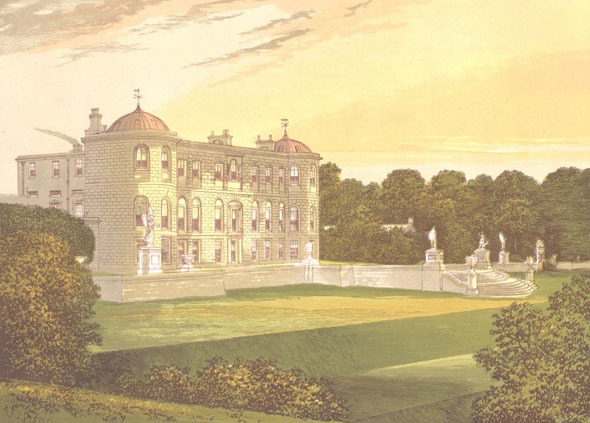 Cassels was the leading country house architect of his time in Ireland and designed other houses, the most important of which are at Russborough and Carton. The house was gutted by a fire in 1974 just before it was due to be opened to the public but since restored. Their townhouse in Dublin, Powercourt House, is now a shopping centre. It was also designed by Cassels. The surrounding gardens which span 20 hectares were begun in the 18th century, but most of what we see today dates from the 19th century. Five terraces drop down to Triton lake, with the Sugarloaf mountain in the background.